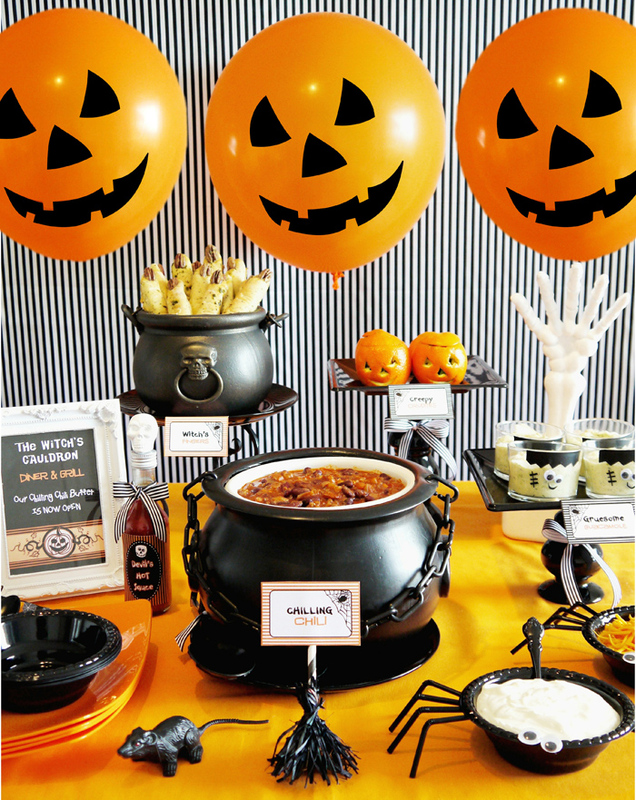 Bird of Bird’s party sent us this creative Halloween chili buffet and there are so many great ideas! 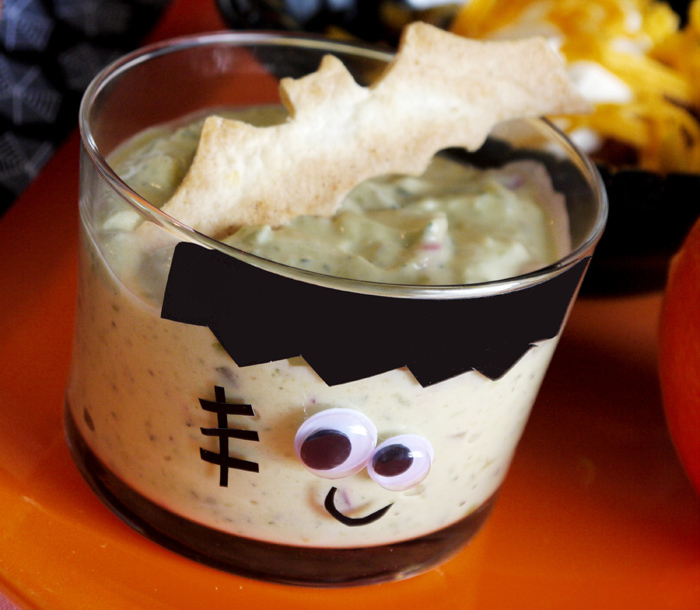 This is a great way to give your little ghouls a little protein before they go out trick or treat. 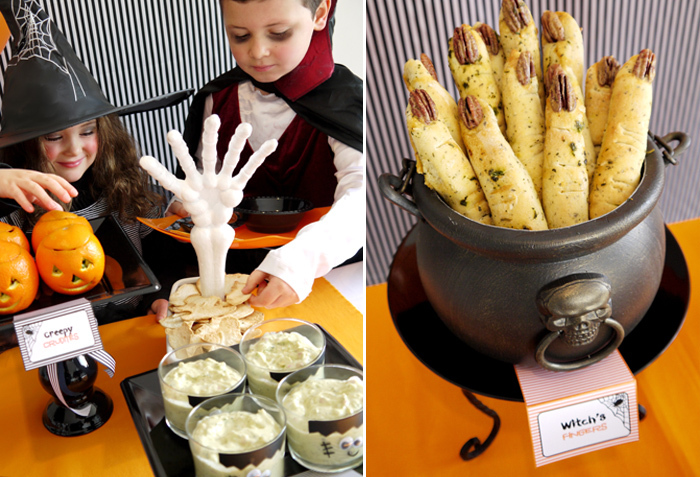 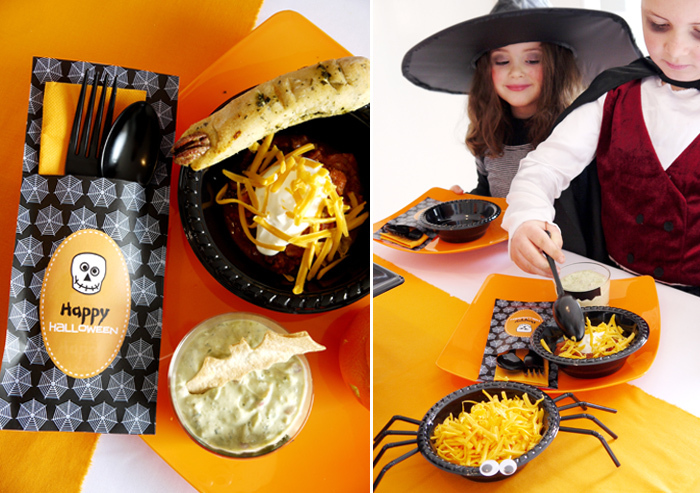 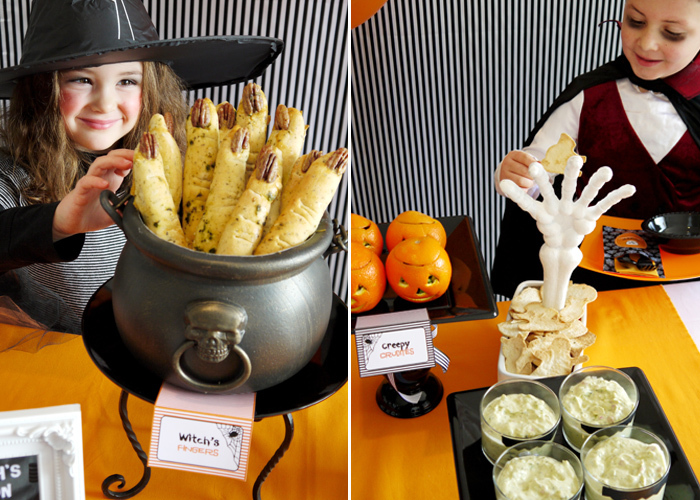 A bubbling witch’s cauldron of hot chili was accompanied by witch’s finger bread sticks, gruesome guacamole served in adorable crafty Frankenstein cups, creepy crudités in Jack ‘O Lantern carved oranges, and homemade ghost and bat tortilla chips. 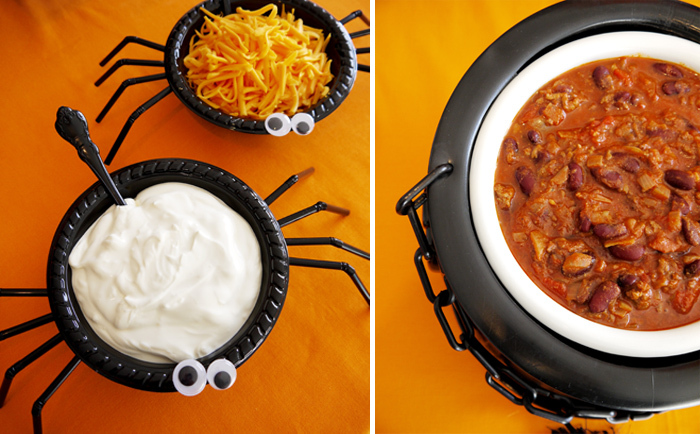 We LOVE the plastic disposable bowls dressed up to look like spiders with black straws and googly eyes! 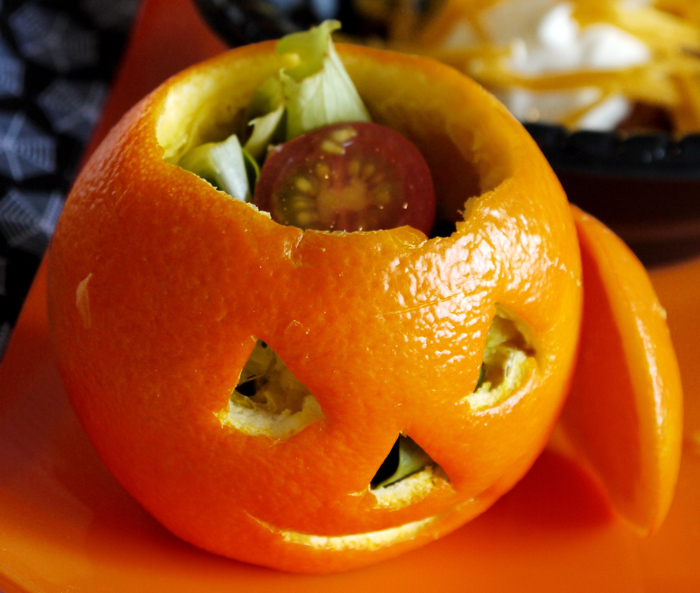 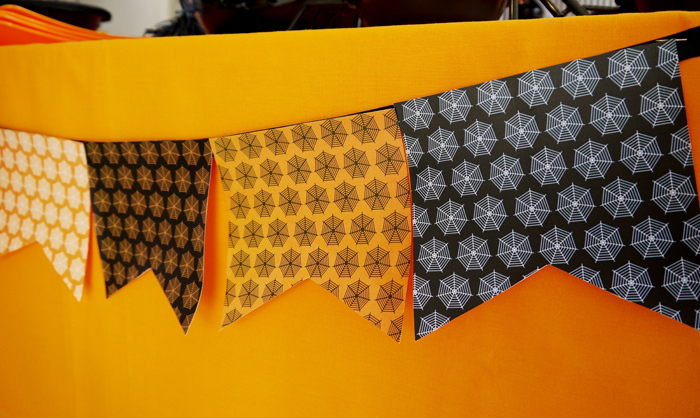 It is an inexpensive and fun way to embellish your serveware. 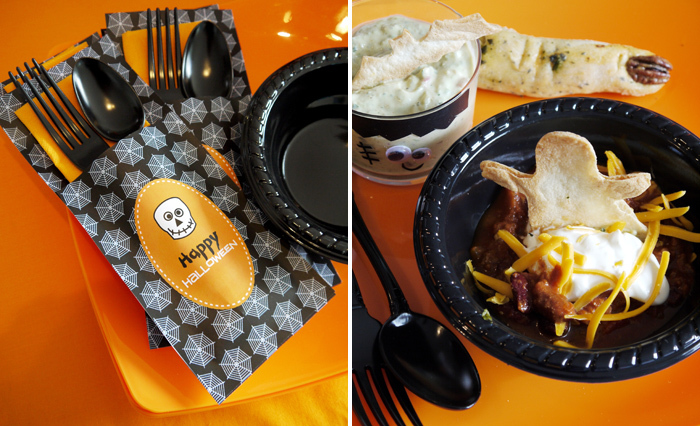 Bird also used her printables to decorate chili sauce bottles, embellish cutlery and napkins, and for food tags on the buffet. 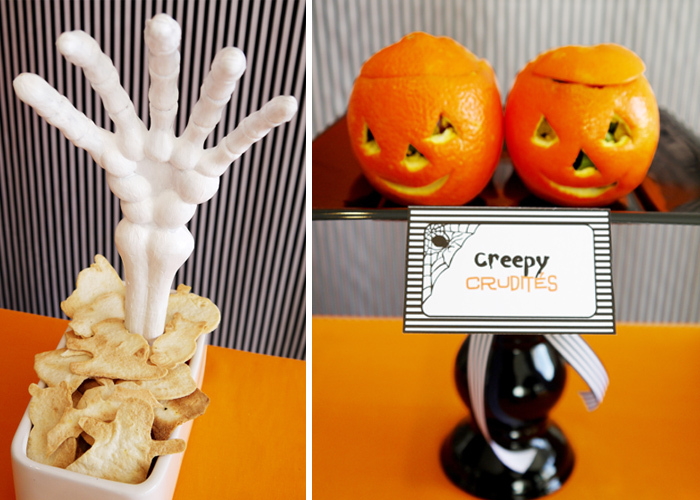 We’re totally doing this for Halloween! 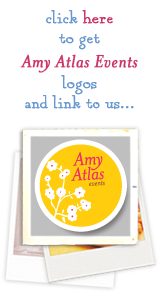 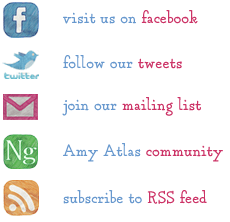 Styling, party printable designs, recipes and photography: Bird’s Party. 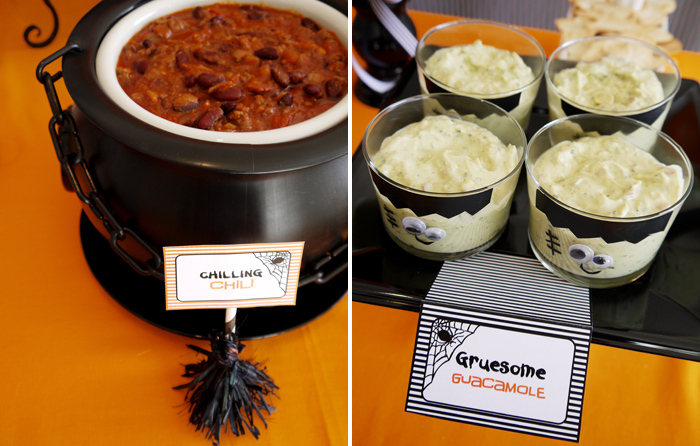 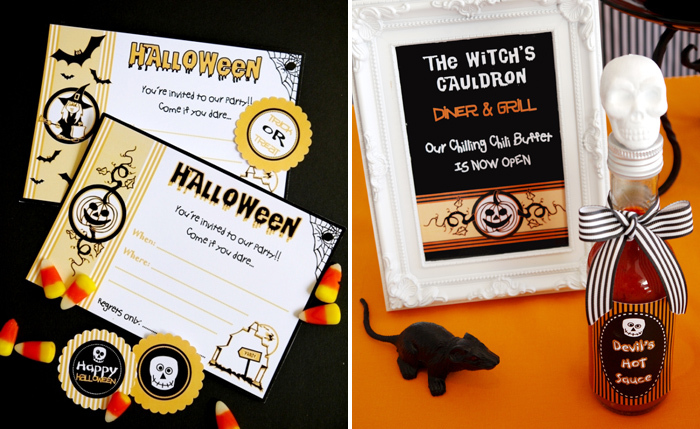 Chili, Halloween, Kids, Kids Parties, Savory.